Whether it’s because the toddler’s toys are strewn everywhere, your teenagers have left messes in their wake, or because of your spouse’s irrepressible habit of leaving things around the house, clutter and mess seem to increase all the time. Sometimes you feel as if you could probably clean all day and not really get to everything. And then there are those friends of yours. You know the ones. Their houses always seem to be spotless and you haven’t seen even the hint of stress lines on their faces. Are they hiring a maid? Do they have Mary Poppins-like magic? The truth is, they’re not spending extra money on cleaning and they don’t have special powers. They simply found order amidst the chaos. And you can too. Developing a house cleaning schedule is the best way to conquer that incipient mess that you know is coming. Neato knows that taking the chore out of your daily chores is possible with a bit of organization and knowhow. Because of this, we’ve put together four household cleaning schedules to get you started on the right track. Let’s say you have a large family home. You’re living the much venerated “American Dream”, but nobody ever had the heart to tell you that the “dream” involved a nightmare of seemingly endless cleaning. In reality, it actually only feels endless. Getting your mind in order is a huge first step in getting your house in order as well. If you have a large home with a fairly active family, a house cleaning schedule is a must. It almost certainly needs to include a daily house cleaning checklist as well. 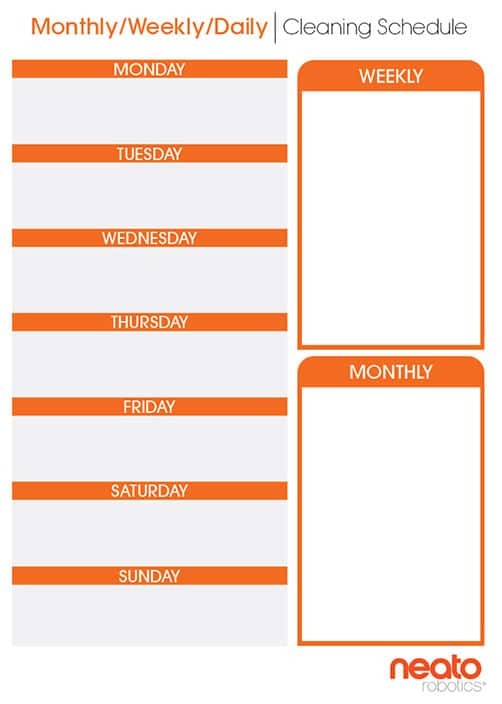 Try scheduling different parts of the house on different days. Some parts the the house need less attention and will get dirty or collect occasional clutter much less frequently, so there’s no reason to try to attack those places on a daily basis. Your garage, for example, is not going to need a daily brush up. Having a daily house cleaning checklist will help pull your sanity out of the rain gutters (which, you guessed it, probably need some cleaning). Having a regular schedule for different parts of the house is an absolute necessity. However, splitting the duties among the family members offers the perfect opportunity to work together as a family in learning each other’s strengths. If you’re in a small apartment, your cleaning tasks are less extensive, but still just as regular. Anyone living in a small apartment knows that messes and clutter seem to add up much faster. After all, there’s simply less room for your stuff. If you’re a collector of things (books, shoes, cookbooks, cats, etc.) you’re going to need to get your life organized before you’re drowning at the bottom of a sea of clutter. A house cleaning schedule will work wonders, but your schedule will certainly be a bit smaller than if you were in a house. Your house cleaning checklist will need to pinpoint all of the areas that need attention first. Kitchens will always need to be at the top, as most small apartments usually have smaller kitchens with smaller sinks. If you happen to have an older apartment with no dishwasher, the kitchen is always going to take priority, with the living room, bathroom and bedroom going down in order for your house cleaning checklist. For those with a roommate, you’re entering dangerous waters with a house cleaning schedule. Your first step is to assess what type of roommate you have. The personality and habits of your roommate will determine whether you emerge from creating a house cleaning schedule alive and in one piece. You’ll first want to tentatively and skillfully approach your roommate, perhaps by baking them something sweet. A little bit of wine won’t hurt either. You don’t want to broach the subject of dividing cleaning tasks while your roommate(s) has their senses about them. Dividing cleaning tasks with a roommate is guerilla warfare. You need to be prepared. As the famed Chinese military strategist Sun Tzu wrote in his book, The Art of War: “The supreme art of war is to subdue the enemy without fighting.” Convincing your roommate to clean…anything can be war. Buttering them up with cake and wine will dull their senses. All that’s left is to hand them the house cleaning schedule or the house cleaning checklist, divide the tasks amongst yourselves, and pick up the shattered pieces of your irreparably broken friendship later. Once the place is clean, of course. If all of this cleaning talk has you feeling a bit nervous, there’s one easy step to calm the storm. Some cleaning tasks in your house or apartment will need to be taken up much less frequently than others. 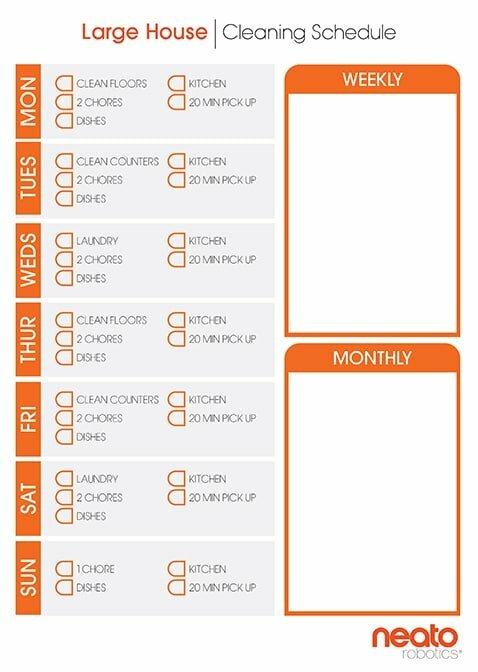 Creating monthly, weekly and daily house cleaning schedules is a sensible way to find order. Consider what tasks need to fall on your daily house cleaning checklist. Small and easy tasks should always fill your daily routine. This can involve making beds, helping dirty laundry find the laundry baskets or loading and unloading dishwashers. Anything that could get out of control if ignored on a daily basis should be on your daily house cleaning checklist. 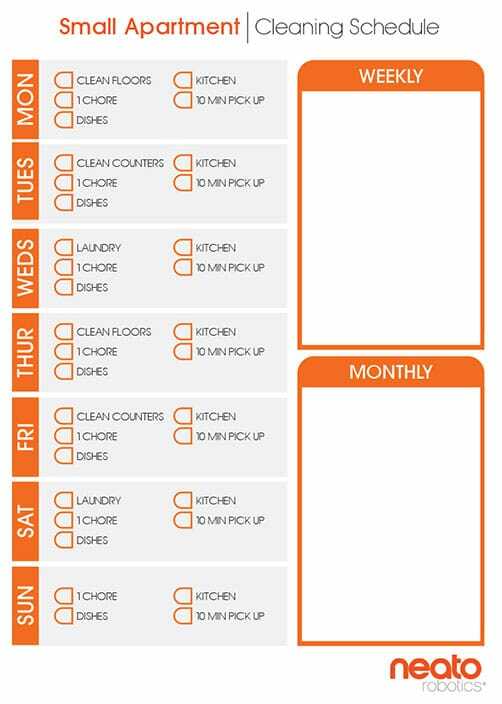 Follow this up with a weekly house cleaning schedule. For most people, bathrooms would land here. Depending on the frequency of use, you’ll find yourself cleaning it once or twice a week, or more if you have a large family or a lot of visitors. Living rooms and bedrooms will likely land on your weekly schedule as well, to include vacuuming, emptying trash cans and taking care of places in the kitchen that could use some extra attention. Finally, some parts of your house get so little use, or get messy so gradually, that they’ll only need monthly cleaning. You may want to add closets, pantries, the fridge, laundry rooms, guest rooms and garages to your monthly schedules. These areas may get cluttered and dirty over time, but it’s a clutter and a mess that is a bit more tolerable. They’re also typically more out of sight. It’s best not to completely avoid them, but you will need to pay attention to them less frequently. Cleaning is not for everyone, but everyone does need to clean. Keeping a regular house cleaning schedule and daily house cleaning checklist will help to keep your mind and your living space in a workable order. Instead of reinventing the wheel, try printing printing out a checklist for your own personal use. Share it with your friends, too. You’ll find yourself saving time. 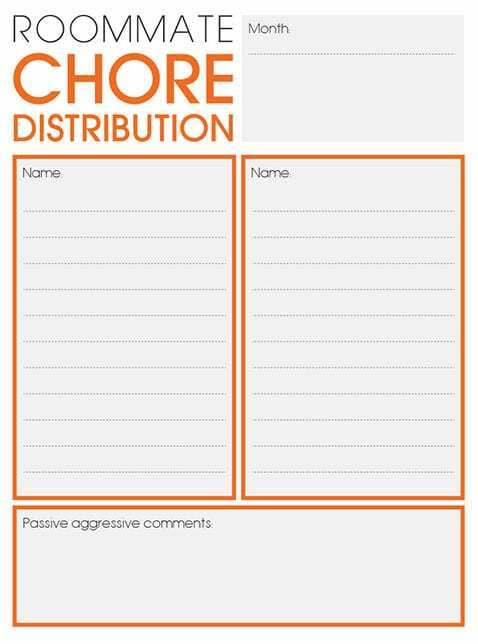 Printing out a visual aid will help steer planning what to clean, and when to clean it, in the right direction. It all comes down to maintenance. Taking bits and pieces out of the cleaning process every day, and splitting tasks based on importance, will keep your home orderly and help you recover a bit of much needed sanity.